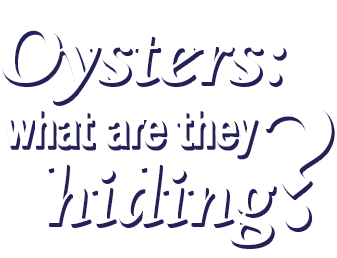 Oysters: what are they hiding? Answer these eight questions to find out! These tiny, tight-lipped critters have harbored secrets for far too long. Peel back the curtain on these mysterious mollusks and expose the secret truth they've kept locked away. Before we reveal the answer, will you tell us a little more about yourself? You'll receive periodic updates from Chesapeake Bay Foundation. You can unsubscribe at any time. The secret is out: You got %score% / 8 right. Now it's time to do one more thing: Challenge your friends. See if they can beat your score!